Easter Classroom Posters - 5 Minute Bulletin Board! 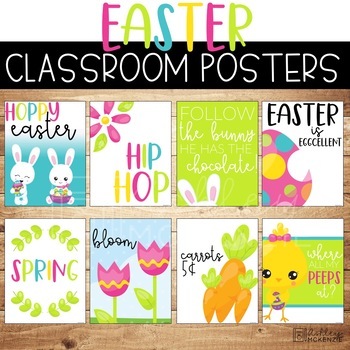 These Easter themed classroom posters are the perfect way to decorate your bulletin board or classroom for the Easter holiday! 8 Different posters are included. You can display them all on your bulletin board or door together or one at a time in a frame! This is the easiest bulletin board you will ever put together! 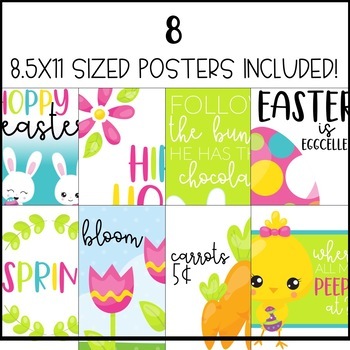 8- 8.5x11 Easter Posters in PDF form. Tag me in a picture of your completed bulletin board for a chance to be featured on my page!